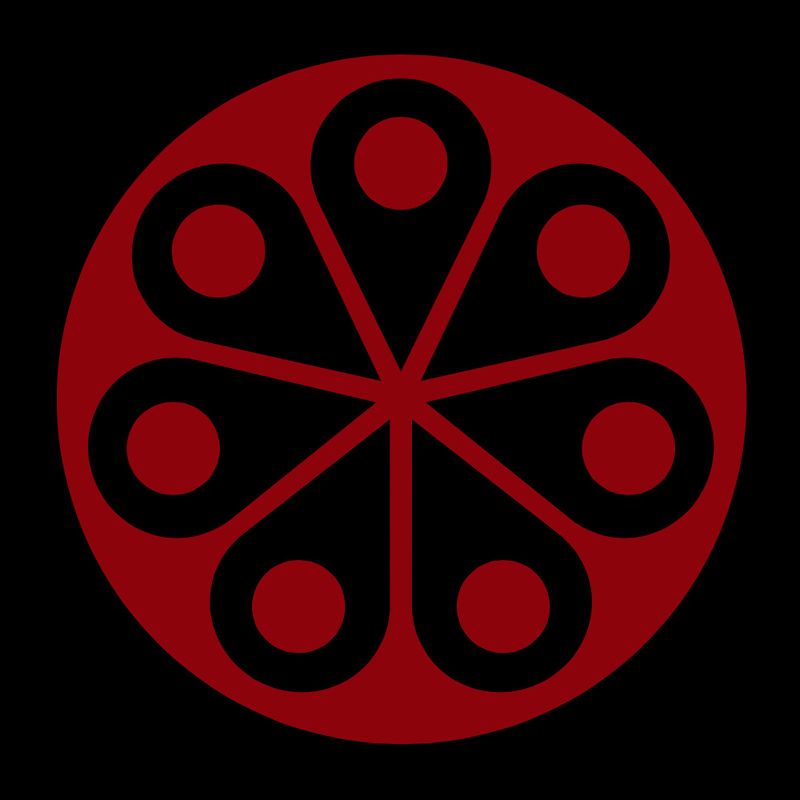 The mon (Japanese clan emblem) used in La Séptima Bala, an online short story about a Japanese girl growing up in Mexico around the time of the revolution. The interface was a crucial part of La Séptima Bala's storytelling, and I needed a way to show the “clickable” artefacts on the illustrations whilst also subtly drawing attention to the fact that their number is incrementing as the story progresses (from two in the first interactive illustration, up to the seven tin cans on the rail in the last). The solution was this symbol, which is abstract enough to work as a simple marker — so it doesn’t draw too much attention to itself — but which also feels like it belongs, and even withstands scrutiny from readers who look more closely into the story. I tried lots of different approaches before settling on this one. The final symbol has a seemingly simple geometry suggestive of Japanese design, and although abstract it hints at Japan’s stylised Imperial chrysanthemum emblem. But — just perhaps — those roundels could also be the (seven?) chambers of a revolver.